Archers may take advantage of a 28-target NFAA certified archery range, as well as a practice range. 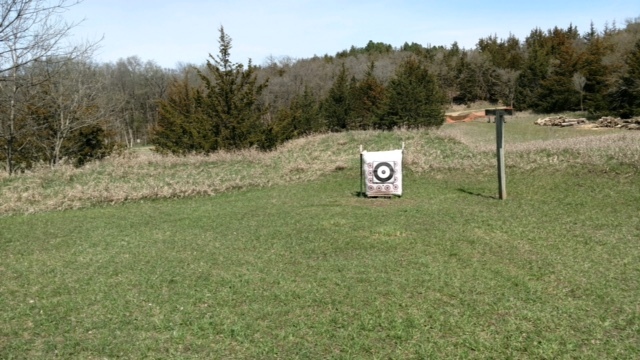 The archery range is split into two 14-target rounds and is laid out in a wooded section of the park, giving archers a natural setting to enjoy their sport. A new addition to the range is an elevated shooting platform with a 6′ and 12′ level for shooting at 3D targets. Scorecards are available at the range. A park entrance license, available for $6 per day or $30 per year, is required to use the range. Open to the public from April 15 through September 30, unless a special event is being held. Archers must bring their own equipment.